The new year of 2017 will be primarily influenced by the movement of Jupiter in Libra. This will provide good fortune and motivation for any and all unions. We're going to find successes and prosperity through our partner relationships. 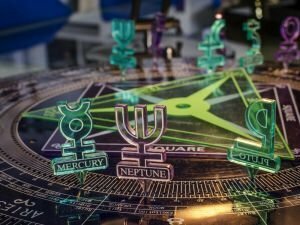 Most recent materials and themes in regards to Zodiac. Read about stories, mysteries along with handy advice about Zodiac. Obtain the most recent publications as well as write ups when it comes to Zodiac. Naturally, there is a little innate evil in each one of us. In some, it never comes to the fore. However, in others, it may prevail and dominate the person's whole essence. There is one constellation that is missing from the list of zodiac constellations, despite the fact that the Sun passes through it. This is the Ophiuchus. In autumn, the relationships with the close ones of Pisces are strained, you will need to help others, to make a choice and to sacrifice something for them. Those born under the sign of Pisces believe they know what others are thinking. Pisces live in a fantasy world and believe that others are not worthy of their company because they are more important. For Pisces (20 February-20 March), the year of the snake will be interesting, simply put. This year, it is important for Pisces to strengthen their influence over others through careful, tactful and diplomatic relations. In 2013, representatives of Aquarius will be unusually sensitive to how they appear in other people's eyes. The end of 2013 is the period for the manifestation of goals, dreams and desires of Aquarius. The credo of each and every one of us is our beliefs and the path that we follow in life. Each zodiac sign is characterized by a few phrases, that every person of that sign will find true to their nature. 2013 is the sign of Sagittarius and you will find your own path of expansion in the professional world, in business, through the resources of others.